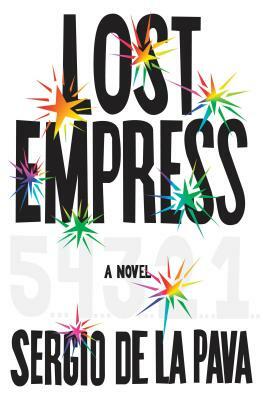 From Paterson, New Jersey, to Rikers Island to the streets of New York City, Sergio de la Pava’s Lost Empress introduces readers to a cast of characters unlike any other in modern fiction: dreamers and exiles, immigrants and night-shift workers, a lonely pastor and others on the fringes of society—each with their own impact on the fragile universe they navigate. Nina Gill, daughter of the aging owner of the Dallas Cowboys, was instrumental in building her father’s dynasty. So it’s a shock when her brother inherits the franchise and she is left with the Paterson Pork, New Jersey’s failing Indoor Football League team. Nina vows to take on the NFL and make the Paterson Pork pigskin kings of America. All she needs to do is recruit the coach, the players, and the fans. Meanwhile, Nuno DeAngeles—a brilliant and lethal criminal mastermind—has been imprisoned on Rikers Island for a sensational offense. Nuno fights for his liberty—while simultaneously planning an even more audacious crime. In Lost Empress, de la Pava weaves a narrative that encompasses Salvador Dalí, Joni Mitchell, psychiatric help, emergency medicine, religion, theoretical physics, and everything in between. With grace, humor, and razor-sharp prose, all these threads combine, counting down to an epic and extraordinary conclusion. "A hilarious, smart, and madcap novel that occupies the porous border between comedy and drama, science and philosophy, story and dream, grim reality and pure imagination. A singular achievement. I’ve never read anything like it."